We are now working on an Interactivd Fiction activity with Google Slides. 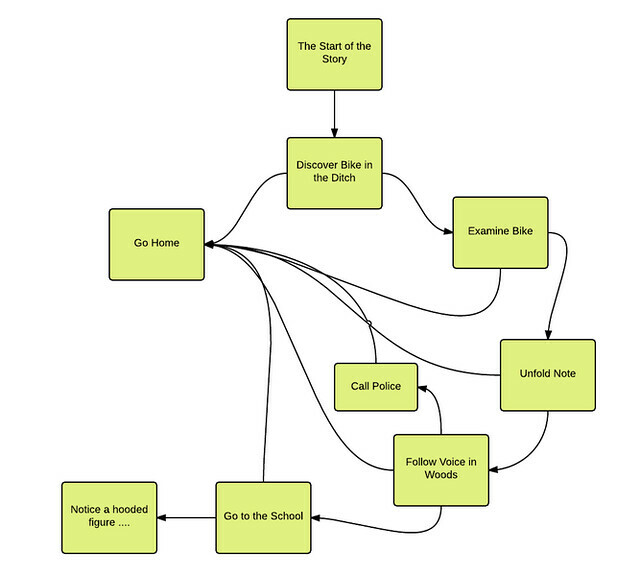 Here is Mr. Hodgson’s sample, called The Bike, using Google Slides. While this is not on the same theme as your theme of an archaeological discovery, it gives you a view of how the Interactive Story works. Here are some Interactive Fiction stories by students from last year that you might enjoy reading. The best way to view/read the stories is to go full-screen option. As you read/play these stories, start thinking of the story you will be creating. Please answer the following question for the Sixth Grade Yearbook — Note: You will have to be logged into your Google Account. Go here if the embedded form does not work. We’re doing some basic work around Parts of Speech. This site — Wacky Web Tales — gives you access to some Mad Lib-style stories in which you choose words and then create a nutty story. Want to try some of these animation sites, and see what you can create?